Laminate countertops are available in seemingly endless combinations of vibrant and versatile colors, patterns and textures. They are the most cost-efficient countertop material and with proper care, can last many years. 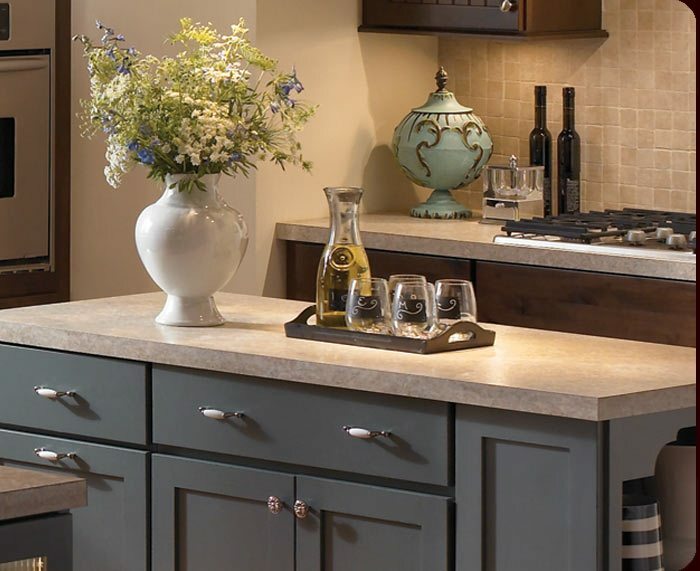 Wilsonart, Pionite & Formica, three of the leading laminate manufacturers, are available at Signature Cabinetry. Care: Clean daily with mild soap and water. For difficult stains, use a mild household cleaner or detergent and soft bristled brush. Clean spills immediately and avoid acidic and abrasive cleaners.